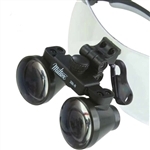 Magnifying loupes are small magnification devices (like a magnifying glass) that aid medical and dental professionals. Unlike a magnifying glass, a loupe does not have a handle. 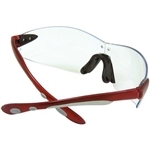 The are often available mounted on eyeglass frames to free up the doctor's hands. In the dental industry, dentists, dental hygienists and dental therapists can all benefit from the right loupes. In the medical field, general practitioners, surgeons and many other medical specialists use Loupes every day to examine patients. Call +1 (877) 646-3300 for our assistance in choosing the right loupe for your application.